American Artist Mykl Wells Wins Cartasia 2012 International Paper and Cardboard Art Exhibition in Lucca Italy. 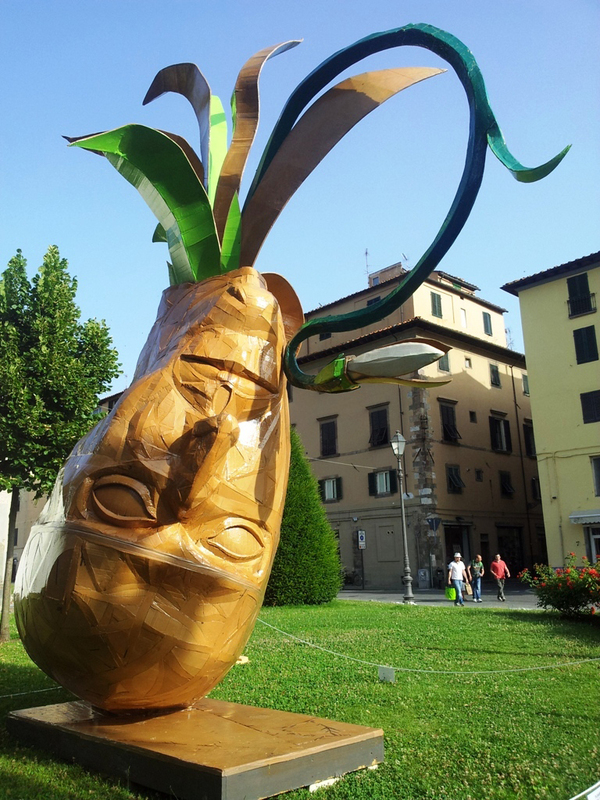 Snowdrop, Cardboard Sculpture, Lucca Italy, Cartasia 2012. Cartasia was the most challenging artistic endeavor of my career. To build a sculpture like this takes commitment and community. The general public has no way of knowing how much of their souls each artists put into making their work. Every artist who participated in Cartasia deserves to win. For my part I felt that I owed it to the people of Lucca who opened their arms and embraced me as a brother, all the people in my community without who's generosity I couldn't of afforded to come to Tuscany, to the history and beauty of this amazing walled city, to the other artists who's remarkable work deeply inspired me and to the people who organized this unique event, to do my very best. For a month I worked 16 and 18 hours a day, every day, taking only one day off in that entire time. There is a film by the great Russian director Andrey Tarkovskiy called Andrei Rublev. In it there is a young boy, the son of a bellmaker who claims he alone possesses his late fathers secrets of casting. He is tasked with a huge project which grows in cost and complexity. Through it all he confidently asserts his knowledge, making risky decisions. In the end the casting is a success and the bell rings true and clear. At this point the boy collapses to the ground, sobbing and he admits his father never told him the secret of casting a bell. By the end of construction of my piece, Snowdrop, this is how I felt. Somehow through natural talent and faith it became a reality, I'm still not entirely sure how. But know this, I gave everything I had to create a piece that would honor the people and the place. I have more grey hair than I used to. I humbly and gratefully accept this honor. Thank you for this astonishing and transformative experienceof Crisis and Rebirth. Thank you.